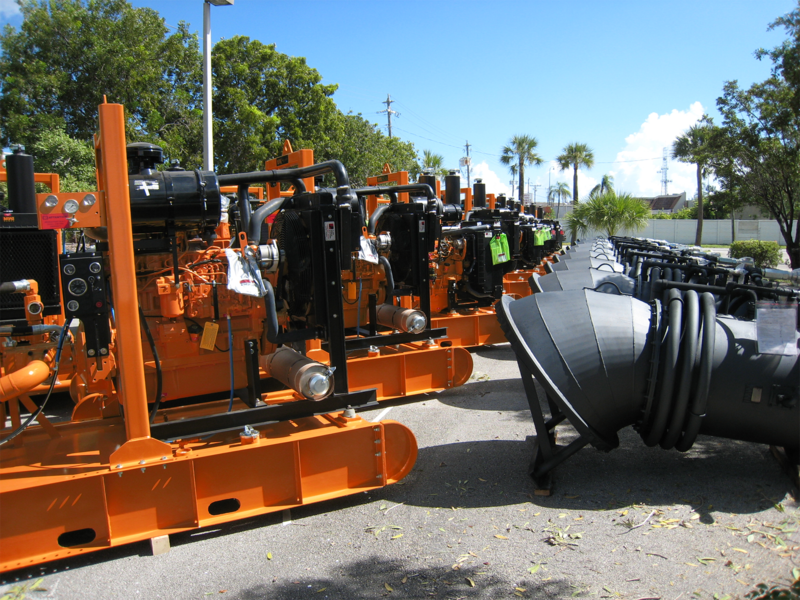 Associated Pump and Supply LLC has been servicing municipalities, private utilities market and contractors since 1980. Our reputation is responsible for our services being requested throughout the United States. APS has a wide selection of pumps for various applications along with power sources required to drive these units. Associated Pump & Supply LLC sells pumps from 2” to 120” with Gallons Per Minute (gpm) ranging from 100 gpm to 500,000 gpm. APS also offers hoses, pipe, fittings, valves and adapters needed to complete your dewatering/bypass job. We will custom build your equipment to meet our customers’ specific requirements. Rental charges are known up front, so you can plan accurate job costing. Initial cost known, but may not be justified on a short term job. You are assured of the right pump for your application. This unit may not be the right pump for your next job. Maintenance is provided by our skilled mechanics. You must have skilled mechanics and spare parts available. No need to inventory rental equipment. Equipment must be accounted for regularly. No problem here, since rental equipment is returned when job is completed. You must have space available to store unused equipment. Rental equipment is returned after job is finished. Selling off used equipment can be costly and difficult. No need to capitalize. Therefore you can deduct rental charges. Purchase must be depreciated over several years.